I’m Mark Ferguson, the founder of InvestFourMore. I have been a licensed real estate agent and investor since 2002. My father became a Realtor since 1978 (before I was born) and I was surrounded by real estate my entire life. I remember sleeping under my dad’s desk when I was three while he worked tirelessly in the office. I started InvestFourMore in March 2013 and the primary objective was to provide information on investing in long-term rentals. I was not a writer at any time in my life until I started this blog. In fact, I had not written anything besides a basic letter since college. Readers who have been with me from the beginning may remember how tough it was to read my first articles with all the typos and poor grammar (I know it is still not perfect!). The name “InvestFourMore” is a play on words indicating that it is possible to finance more than four properties. The blog provides articles on financing, finding, buying, rehabbing and renting rental properties. 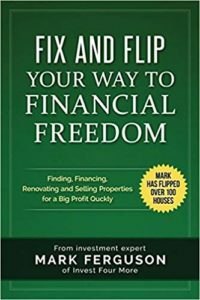 The blog also talks about my fix and flips, advice for real estate agents, and many other real estate related topics. The blog took off to my surprise and has allowed me to have a podcast (150 episodes), write 6 books, and be featured on many national sites like Forbes. Surprisingly, or maybe not, I never wanted anything to do with real estate. I wanted to create my own path. I graduated from the University of Colorado with a degree in business finance in 2001. I could not find a job that was appealing to me so I reluctantly decided to work with my father part-time in real estate. Many years later I am sure glad I got into the real estate business! Even though I had help getting started in real estate, I did not find success until I was in the business for five years. I tried to follow my father’s footsteps, which did not mesh well with me. I was helping him flip the occasional house and selling a handful of houses a year as an agent. I was trying to be a traditional agent like he was, but it was not a great fit for me. I was tired of making little money and decided the best way to break out of my funk was to flip a house on my own. That meant finding the deal and doing all the manual labor. I would save so much money! I did save some money, but it took me forever to do all the work and it cost many a lot more money in lost opportunities. I was not selling houses as an agent or finding more houses to flip. I had my worst year ever financially and mentally. I tried something else. I was randomly asked to complete a BPO (broker price opinion for a bank). I had no idea what that was, but did some research and found out it had something to do with foreclosures they sold. It sounded interesting so I agreed. I did the BPO and made $50. I made a decision that I was going to give it my all in that business. I started cold-calling banks and asking them how to sell their REOs. I had no idea what I was doing and hated calling people, but I did it anyway. A few banks sent me in the right direction and the rest is history. I went from selling 5 to 10 houses a year to 200 a year in a few years. I hired people to help me with the REO business and I started to buy rentals with the money I was making in 2010. I hired more help which freed up my time and allowed me to flip more houses. In 2013 I bought out my dad and took over the business. 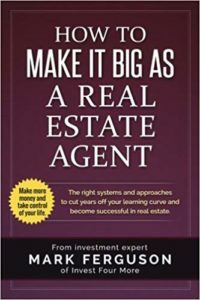 I ran a real estate team, was flipping houses, selling foreclosures, and buying rentals. It was crazy, so I decided to start a blog on top of that! It got tougher and tougher to buy rentals as prices increased in Colorado so we started to flip more houses. We also saw fewer and fewer foreclosures. We went from flipping 8 houses to 13 to 18 to 26 in one year. 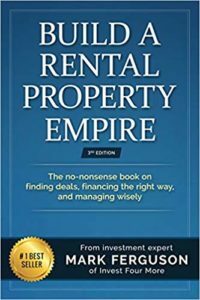 I bought 16 rentals from 2010 to 2015, but stopped in 2015 because I could not cash flow in Colorado anymore. Then in 2017 I found commercial rentals and have bought 6 more properties including a 68,000 square foot strip mall where my office is. In 2017 I started my own brokerage; Blue Steel Real Estate. I brought most of my team over from my old office and added a few more people. It was a blast creating an office from scratch and stressful as well. I love having control of everything and great people to work with. I was married to my beautiful wife Jeni, in 2008 and we have twins who turn seven this year. 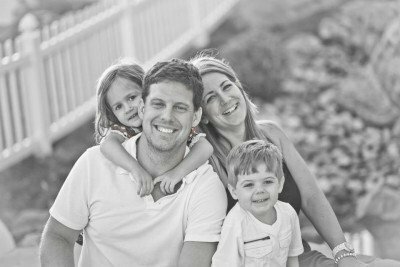 Jeni was a Realtor when we met in 2005, but has since put her license on ice while she takes care of the twins. Outside of work, I love to golf and work/play with my cars.